Growing up, we were always told how terrible it is to carry too heavy of a backpack on your shoulders—not to mention how it probably slowed us down from rushing off to class. Alas, the nightmare of heavy and wide backpacks has resurfaced and, even weirder, might potentially be a trend in 2019. Here’s the catch: This time it’s in the form of a human-sized backpack, and it’s already sold out. The phrase, “go big or go home” has a whole new meaning. This probably wasn’t the stylish backpack trend you were expecting to see in the first few weeks of 2019, especially since petite backpacks were popular last year. 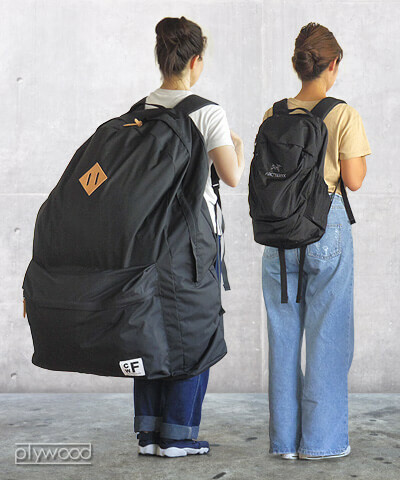 Japanese company CWF released this ‘Backpacker’s Closet’ backpack on the Plywood website (it was available in three colors), and according to The New York Post, it’s listed at around $240. At least you’re getting what you pay for, here: a whole lotta backpack. Plywood’s website noted that the backpack is perfect for anyone looking to expand their closet space or for carrying any items needed for camping. If there’s one thing we know for sure, it’s that you won’t go unnoticed carrying around this backpack. One Twitter user tweeted, “Comes with lower back pain,” and, yeah, that seems about right. 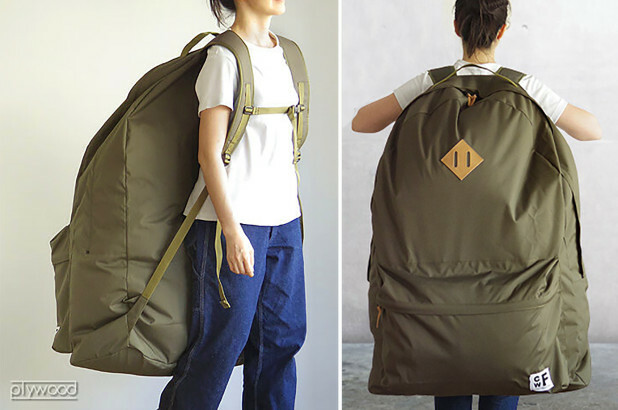 We’re curious to know how long someone could realistically carry this backpack if it was filled entirely. Another user jokingly commented, “added bonus: sewn inside is contact info for a chiropractor.” Even with the addition of the shoulder strap, this backpack is surely going to weigh you down. There are a couple of pros about this backpack: You’re not limited when it comes to what you can and cannot pack when leaving for a trip, and there’s enough space for a massive imprint, should anyone ever be brave/crazy enough to attempt a promotional version.